The Nike Shox line has been on an extended hiatus for some time now, but maybe the wait is a good thing. 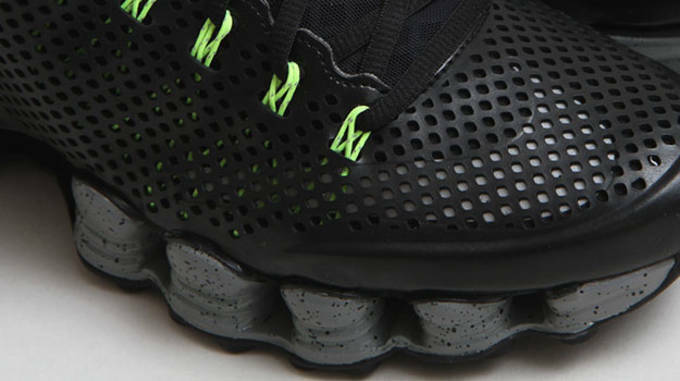 Nike&apos;s been spending more time focusing on newer technologies including Flyknit, and Free, so the Shox kind of feel through the cracks, until today where they make their comeback in a big way. The Nike Shox TLX Mid SP is a new silhouette from the Swoosh, and they&apos;ve combined the old with the new into this advanced trainer. The upper is comprised of a ultra-breathable synthetic leather with laser cut perforations throughout to add even more ventilation. Nike added in Flywire cables to cradle the foot and give a locked down feel that&apos;s necessary when training. 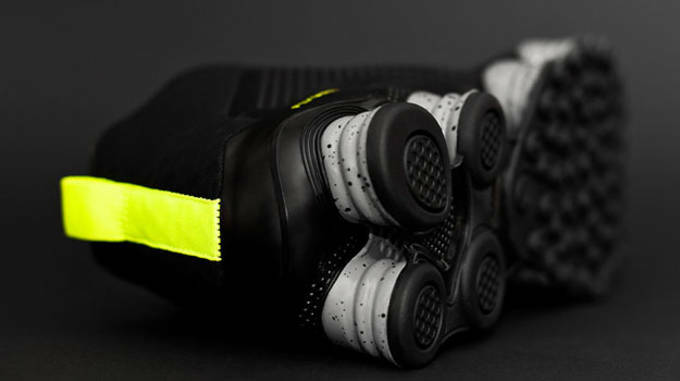 The outsole is obviously comprised of the Shox cushioning system to absorb impact and reduce stress on joints. 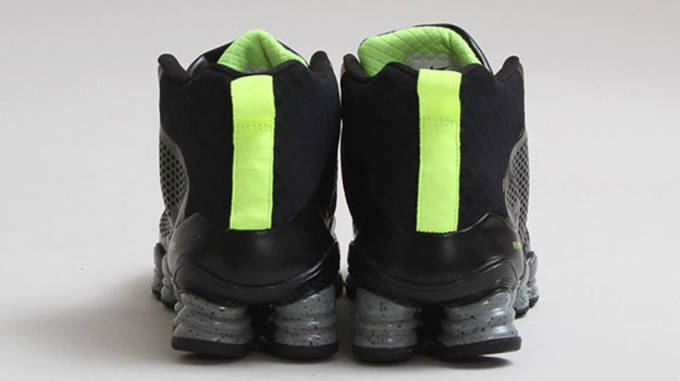 Nike did this up in an all black look through the upper, with volt touches added in the Flywire, and heel tab. To finish the look, Nike used a black and grey paint splatter design through the Shox cushioning system to compliment the upper. 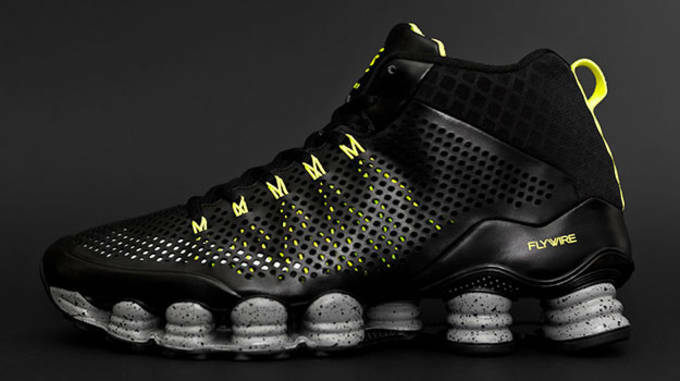 The Shox TLX Mid SP is scheduled to release today, so head over to the Nike Store for a chance to scoop them up.